Download the Ace Auto Parts App Today! 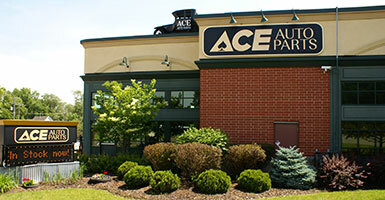 Ace Auto offers a range of auto services in addition to our acres of used parts and vehicles. 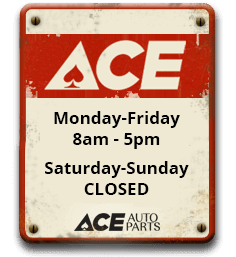 With access to an extensive computerized network of parts locators, our team at Ace Auto can be sure to find the auto parts you need. We offer a wide selection of inexpensive used vehicles for sale. All vehicles have been inspected by our mechanics and are ready to go! Ask about our payment plans. If you have a junker, we'll buy it. We offer free towing. Get rid of your old car and make some money! Search our inventory of thousands of parts for just about any vehicle you can imagine. Encuentre la pieza que usted necesita, contamos con un inventario de miles de repuestos para toda clase de vehículo.